Snapfish has a hot offer for new members right now. Get a FREE $10 credit to use toward your first purchase, plus 30 FREE prints! Register or login to Snapfish. 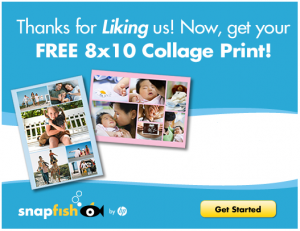 New Snapfish members will also receive 20 FREE 4×6 photo prints! Add (1) 4×6 print to your cart. Add (1) 8×10 collage print to your cart. Use code GRANDSHIP at checkout. 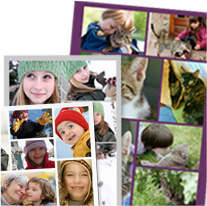 Pay just $0.09 for the 4×6 print and get the 8×10 collage print FREE plus FREE shipping! The FREE collage print offer is valid through 8/17/10. Snapfish just released a special end-of-the-month promotion for new members. New members can score a FREE collage mug + 50 FREE photo prints when you register today only! Register with Snapfish to get your 50 FREE 4×6 photo prints. Upload your photos to your new Snapfish account. 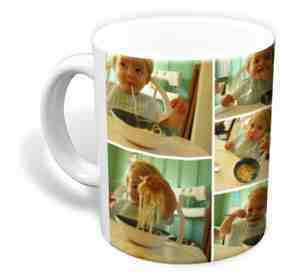 Click on the “Store” tab and create your custom photo mug. Use code FREEMUG at checkout. Shipping on the mug is $5.99, and shipping on the prints is $3.44. The mug along is normally $12.99 plus shipping, so this is a great deal! Offer good through 7/31/10 only. Greats news — the Snapfish 50 prints for 50-Cents offer is back through July 11th! This offer is valid for both new members and existing members, so this is a great opportunity to preserve your summer memories. New members should register with Snapfish first to score your FREE custom photo book. After placing your photo book order, log back in to Snapfish. Existing members can just login. Upload up to 50 images and add (50) 4×6 prints to your cart. Check out using code JULY4PENNY to pay just $0.50 plus shipping. The FREE photo book offer is valid through 7/31/10. Snapfish has a hot Facebook promotion going on! They’re offering codes for a FREE 8×10 Custom Photo Collage Print when you “like” them. Plus new members will also receive 50 FREE prints upon registration. Register with Snapfish to earn your FREE prints. “Like” Snapfish on Facebook to get your FREE photo collage promo code. Login to Snapfish and create your photo collage.